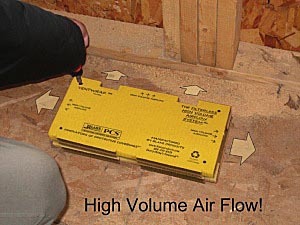 Vent Wrap eliminates expensive post-construction clean-up of duct work and air vents. VentWrap HVAC Protection provides a filter-free barrier that keeps foreign objects, such as screws, lumber, scraps, drywall, dust, and other materials from falling into vents. This innovative product eliminates expensive post-construction clean-up of duct work and air vents. We offer a custom branding program that offers our customers the ability to advertise and market their company on select PCS products.